Demand for Australian wine in China is soaring, with imports up 29% in the first nine months of 2011 compared with the same period last year. With more than 1,000 Australian wine brands now available in China, third-quarter results show Chinese mainlanders bought 2.54 million cases of Australian wine. China is Australia’s fastest growing market and fourth largest export market by value, after the UK, US and Canada. According to Wine Australia, China netted the most sales of premium Australian wines between September 2010 and September 2011, with more than 4.2m bottles priced over 600 yuan sold. The country is on track to import 26m cases of wine by the year’s end, a 60% growth compared with last year’s figure of 16m. Australia takes a 15% slice of the market, followed by Italy, Spain, Chile and the US. Chinese consumers’ increasingly sophisticated thirst for imported wine is said to be driving the growth. 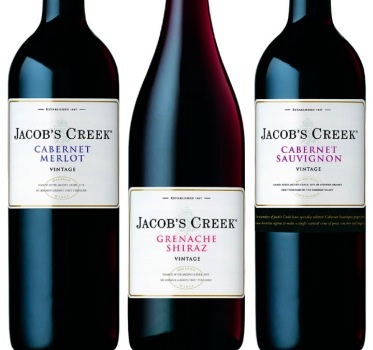 Last year, Jacob’s Creek experienced a 42% sales increase in China, assisted by the launch of its Winemarker Series and tailored marketing approach. “We have become one of the most active imported wine players in the market,” said Jessie Lu of Jacob’s Creek owner Pernod Ricard. But despite the boom in imported wines, Australian wineries are not actively seeking to boost sales volumes to China. Wine Australia said the best measure of success for Australian wine in China isn’t based on market share. “There’s no point increasing volume for volume’s sake or trying to achieve an extra 5% market share if it erodes the position and value of Australian wines,” said Lucy Anderson, director of Wine Australia’s Asia branch in Hong Kong. “We need to ensure consumers are confident to seek out Australian wines because they trust them, enjoy the taste and are proud of the association back to the brand, region and country,” she added.